WWT Martin Mere is managed by the Wildfowl and Wetlands Trust and is situated at Tarlscough, Burscough 6 miles from the town of Ormskirk in Lancashire. The seasonally flooded wetlands attracts tens of thousands of migratory geese and wetlands birds making it one of the finest birding locations in the country. There are 10 hides, lapwing, snipe, avocet, redshank, black-winged stilts, oystercatcher and ringed plover, pink footed geese, merlin, Marsh harrier, ruff, Whooper swans, teal, kingfisher, Great spotted woodpecker, peregrine and sparrowhawk can all be sighted. Osprey have recently been visiting also. There are 11 observation hides. On the east side of the reserve there are a number of pens providing habitats for birds from Africa, Australasia, North America, South America, Siberia, and Asia. The gift shop stocks a wide range of wildlife books, outdoor clothing, bird feeders/boxes, postcards and stationary, children's gifts and souvenirs. 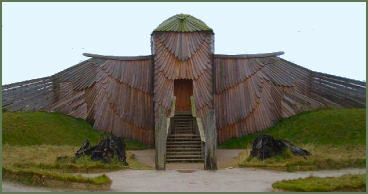 The life of ancient peoples is reconstructed at Martin Mere in the form of four Viking roundhouses built using authentic techniques and local materials. There are four roundhouses in the village along with a camp fire, water and wood storage and an area to keep sheep. Visitors can be involved in foraging for edible and medicinal plants, cooking, weapons-training, felt-making and weaving. They can see how our ancestors made fire, cooked bread and smoked fish, produced wooden tools and musical instruments and told stories. 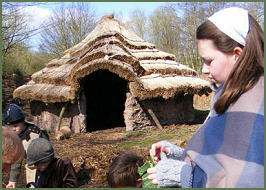 The attraction focuses on the history of Martin Mere and how dwellers would have lived around the mere whilst offering visitors and school groups a very unique experience. Matin Mere is situated off the A59, it is signposted from the M61, M58 and M6.